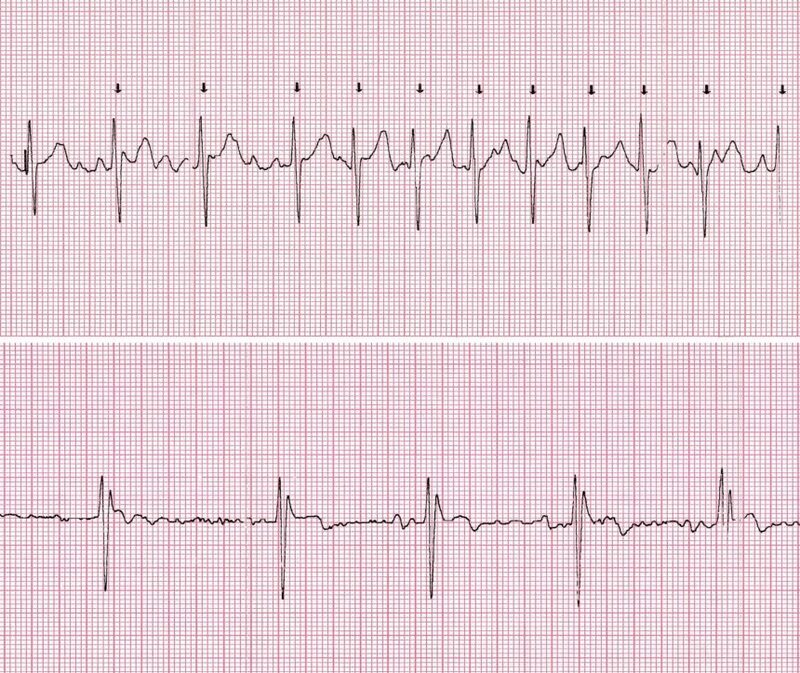 A wait-and-see approach was found to be noninferior to early cardioversion in achieving a return to sinus rhythm at 4 weeks in recent-onset, symptomatic atrial fibrillation. It is unknown whether immediate restoration of sinus rhythm in patients with recent-onset symptomatic AF is necessary because AF often terminates spontaneously.2-7 Rather, a wait-and-see approach that includes administration of rate-control medication may help to avoid hospitalization and overtreatment. They found that the presence of sinus rhythm at 4 weeks occurred in 91% of patients in the delayed cardioversion group and in 94% of patients in the early cardioversion group (P =.005 for noninferiority). In the delayed cardioversion group, 69% of patients converted to sinus rhythm spontaneously within 48 hours and in 61% of patients in the delayed cardioversion group, whereas in the early cardioversion group, 16% of patients converted to sinus rhythm spontaneously before the initiation of cardioversion and 78% of patients converted to sinus rhythm after cardioversion. Recurrence of AF occurred in 30% of patients in the delayed cardioversion group and in 29% of patients in the early cardioversion group. Danias PG, Caulfield TA, Weigner MJ, Silverman DI, Manning WJ. Likelihood of spontaneous conversion of atrial fibrillation to sinus rhythm. J Am Coll Cardiol. 1998;31:588-592. Lindberg S, Hansen S, Nielsen T. Spontaneous conversion of first onset atrial fibrillation. Intern Med J. 2012;42:1195-1199. Geleris P, Stavrati A, Afthonidis D, Kirpizidis H, Boudoulas H. Spontaneous conversion to sinus rhythm of recent (within 24 hours) atrial fibrillation. J Cardiol. 2001;37:103-107. Cotter G, Blatt A, Kaluski E, et al. Conversion of recent onset paroxysmal atrial fibrillation to normal sinus rhythm: the effect of no treatment and high-dose amiodarone: a randomized, placebo-controlled study. Eur Heart J. 1999;20:1833-1842. Decker WW, Smars PA, Vaidyanathan L, et al. A prospective, randomized trial of an emergency department observation unit for acute onset atrial fibrillation. Ann Emerg Med. 2008;52:322-328. Doyle B, Reeves M. “Wait and see” approach to the emergency department cardioversion of acute atrial fibrillation. Emerg Med Int. 2011;2011:545023.